While smart devices are proliferating in the industrial and domestic environments, concerns remain that they will not be sustainable unless their need for batteries and/or charging is removed. Researchers at the University of Waterloo in Ontario, Canada, are claiming a major advance in this area through making simple modifications to a radio frequency identification (RFID) tag, a battery-free device used to make objects machine-readable for the location and identification, and which are increasingly ubiquitous in common objects. 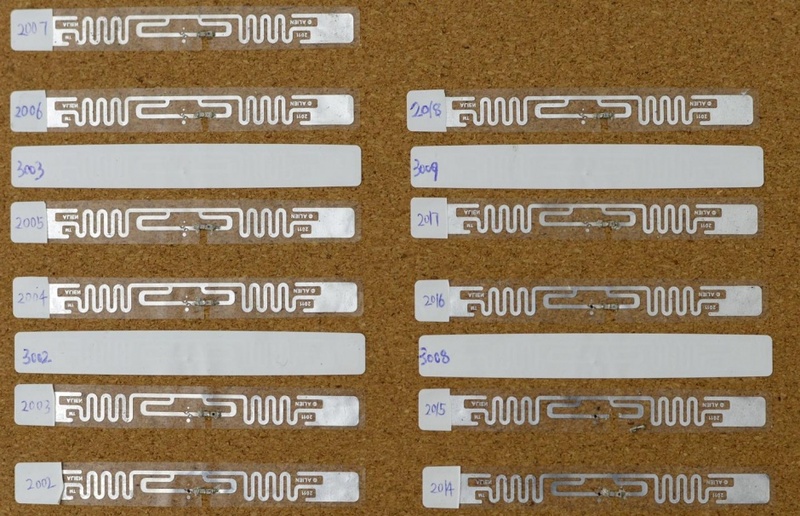 RFID tags consist of printed metal antennas in squiggly shapes that are connected to a tiny chip. At a recent conference in New Delhi, Omid Abari, Ju Wang and Prof Srinrivasan Keshav from Waterloo’s Cheriton School of Computer Science explained how they gave the tag the ability to sense this environment. To demonstrate the technique, the team attached a photo transistor across the gap they had made by cutting the antenna section. These components respond to different levels of light, and introducing this into the RFID circuit change the characteristics of the antenna, which in turn caused the change in the signal going to the associated RFID reader. An algorithm in the reader monitors changes to the tag’s signal, turning it into a usable, battery-free device that measures changes in light levels. A similarly-useful hack might be adding a switch to an RFID tag that it can act as a touch-responsive keypad. “We see this as a good example of a complete software-hardware system for IoT devices,” Abari said. “We hacked simple hardware – we cut RFID tags and placed a sensor on them. Then we designed new algorithms and combined the software and hardware to enable new applications and capabilities. The researchers described in a paper in the proceedings of the mobile computing conference. Last week’s poll: what non-technical skills are most important for a successful engineering career? What am I missing here? The resulting sensor-capable tag needs to be in range of a reader to cause it to transmit its data. The reader has to be powered. So in the example it can sense the light level only in the immediate vicinity of the reader. How is that more useful than replacing the relatively expensive reader with a less expensive but powered, sensor?